READING, PA -- Bizarre clown sightings in Pennsylvania are nothing new in recent weeks, but this is: Criminal accusations. Police in Reading say they're trying to figure out who fatally stabbed a 16-year-old boy Sunday night after someone wearing a clown mask may have provoked a confrontation. Police say they're sorting through various accounts of the incident that include the victim wearing the mask, the stabber wearing the mask, and someone else wearing it. 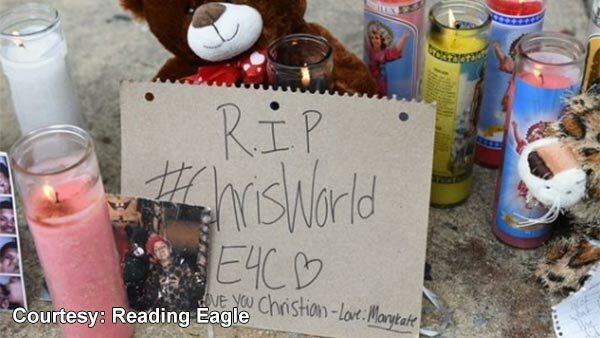 One thing's certain, high school sophomore Christian Torres is dead. In Martinsburg, Blair County, police have charged an 18-year-old man with harassing, threatening and prowling around his neighbors' home while wearing a clown mask and holding an Airsoft toy pistol, also on Sunday night. Police say the masked suspect acknowledged rapping on the neighbors' door and windows.